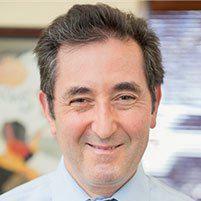 Dr. Barry Grossman is a board-certified physician who specializes in all aspects of dentistry, including oral surgery. The doctor can offer nitrous oxide to his patients who will be undergoing certain procedures. The doctor offers his services to New York residents throughout the Brooklyn, NY area. "Dr. Grossman is the most excellent and best dentist in the tri-state area." "Only for a cleaning today but anytime worth the trip from Long Island!" "He has a lovely office. Clean & comfortable. I would recommend this dentist." "Great dentist and very friendly staff. A+ experience and care!" "Dr. Grossman is an excellent dentist and he has a beautiful new dental office." Why is Nitrous Oxide Used? Nitrous oxide is a gas that is often used to help patients relax prior to a dental procedure. The gas's sedative properties allow it to effectively calm and relax a person so the procedure can be performed without them jerking or moving in any way that could potentially cause the dentist to make a mistake. When used in addition to Novocain or other anesthetics, it can sufficiently calm the patient and allow them to be more comfortable for the duration of the procedure. Also known as laughing gas, nitrous oxide may cause the patient to be extremely "happy or giddy". The effects of the gas will last for a short period of time after the mask has been removed. When is Nitrous Oxide Recommended? Nitrous oxide is often recommended for patients who have severe problems when it comes to anxiety or irritability. Patients who are overly nervous during a dental procedure can make it very difficult for the dentist to accurately perform the procedure. The use of nitrous oxide in addition to various types of anesthetics allows the patient to remain calm and completely relaxed without being placed under full anesthesia. The doctor is able to communicate with the patient as needed, even though they are completely relaxed. Nitrous oxide is often recommended for procedures that may take a longer amount of time making it uncomfortable for the patient to remain in the same position. Does Nitrous Oxide Have any Side Effects? Nitrous oxide is safe when used according to normal guidelines. If the amount of gas is too low, the patient may show signs of irritation or discomfort. If it is too high, the patient may complain of a headache or nausea. Vomiting may also become a problem. The patient may show signs of becoming very sleepy or lethargic. The patient may begin to shiver uncontrollably or start to sweat profusely. Side effects will often appear if the amount of nitrous oxide being used is changed abruptly. Each person will respond to the gas in their own way. The dental staff should closely monitor the patient at all times when nitrous oxide is being used to prevent any adverse effects. For questions regarding insurance, please call the office. "Ever since I have seen Dr.Grossman has made my dental experiences tolerable! He always explains what is going to done and has lots of patience." "Has three broken teeth pulled. Procedure was quick and relatively painless. No after pain or bleeding." "I've been very satisfied w/ Dr. Grossman's dental treatments. Very informative, providing options when the occasion merits it." "He's WONDERFUL! This appt was for my mother... he's was so compassionate and caring with her... I love him and will now be using him for my whole family."